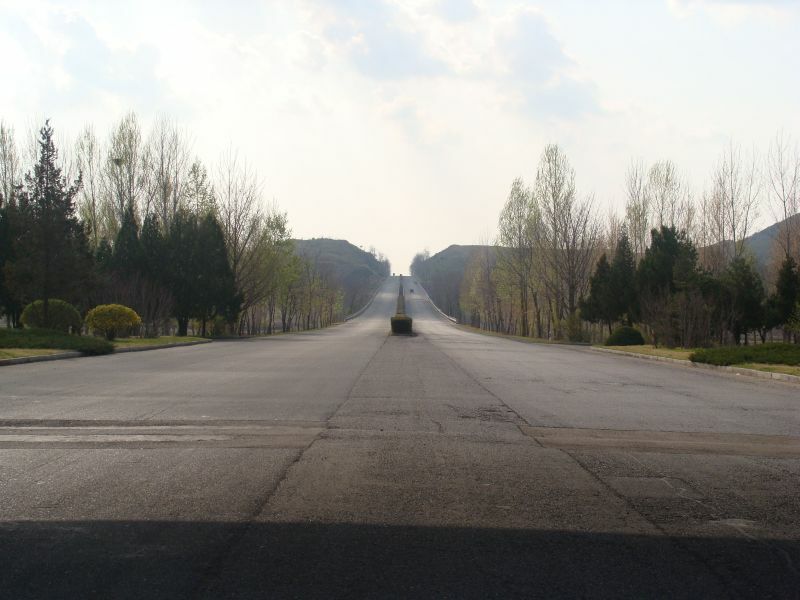 The city of Kaesong is situated South of the 38th parallel (therefore was part of South Korea from 1945 until 1951) but was conquered by the DPRK during the Korean war. 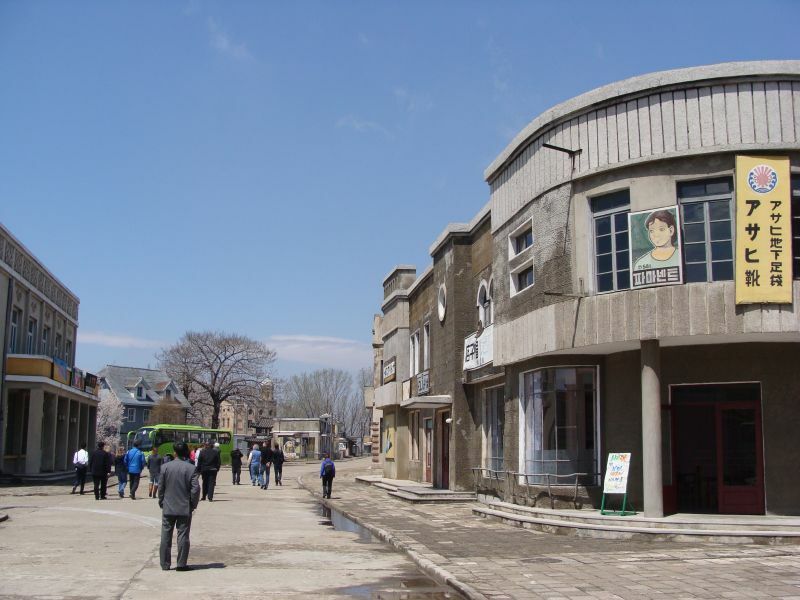 This is the only major city that changed hands as a result of that military action. 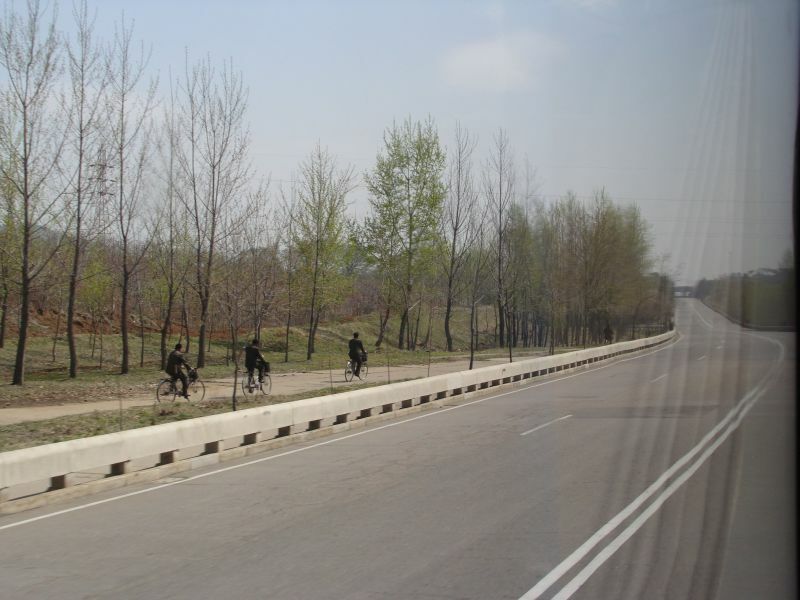 Reaching it from Pyongyang took longer than it should because the empty roads were too bumpy. 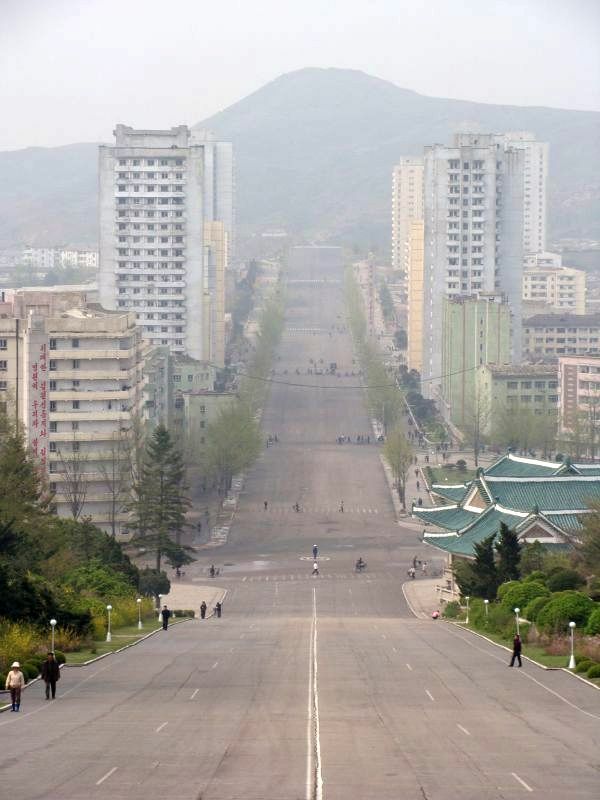 This is the main street in Kaesong, as seen from a park in front of the statue of Kim Il-sung. 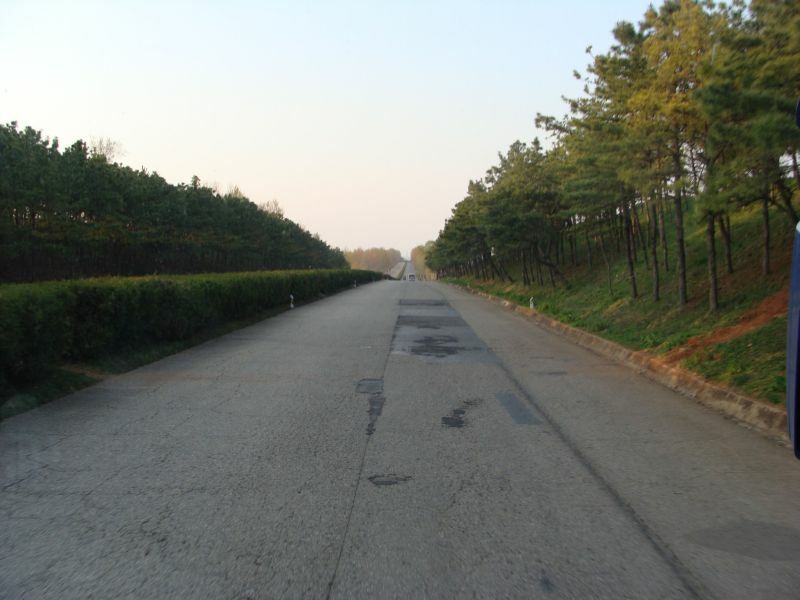 The Kaesong industrial park, a joint venture between the two Koreas, is located just outside of the city. 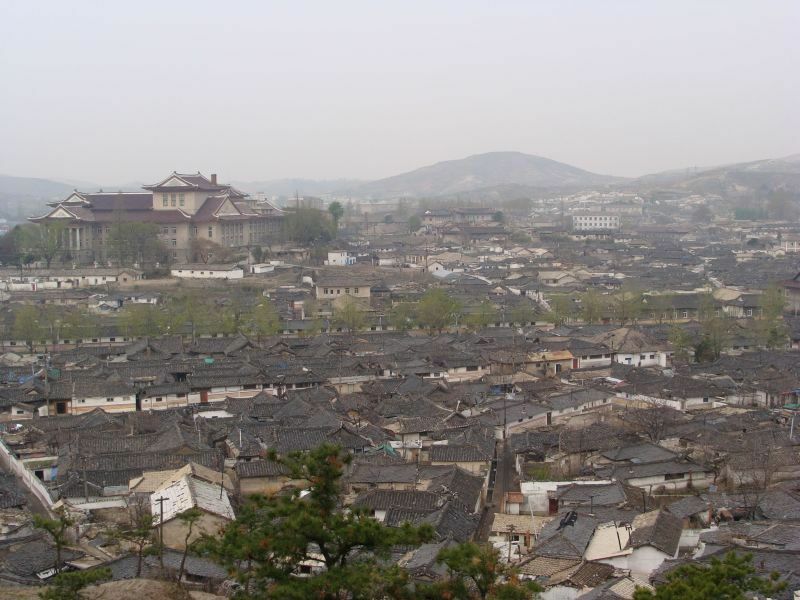 Since this city belonged to the South, it was spared the destruction that leveled most of the cities in the North. 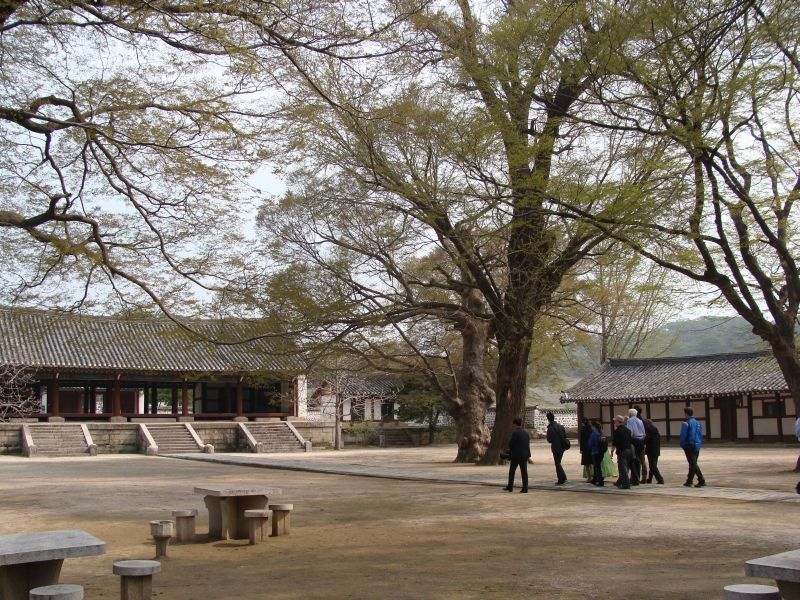 Therefore, we had the chance to see some traditional Korean houses and neighborhoods. 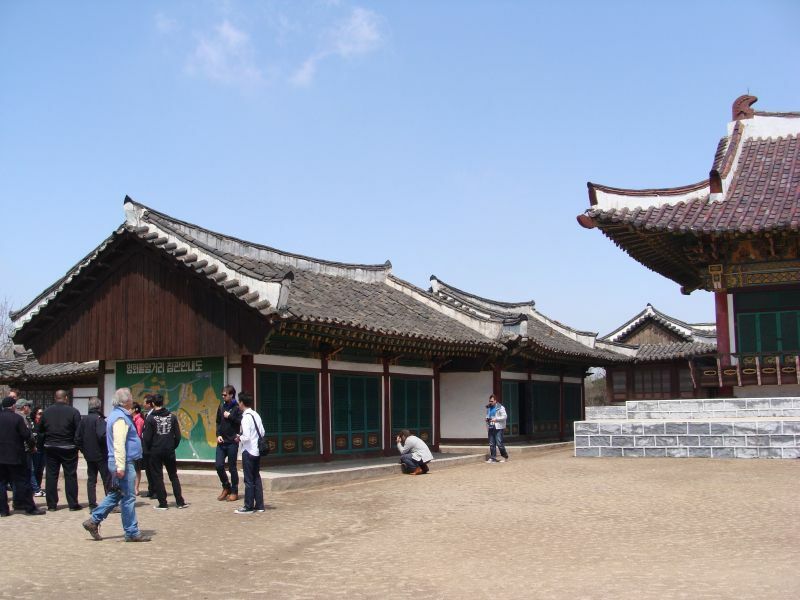 This group of houses was organized as a traditional Korean hotel, with guests sleeping on the floor and dining tables located at a lower level. 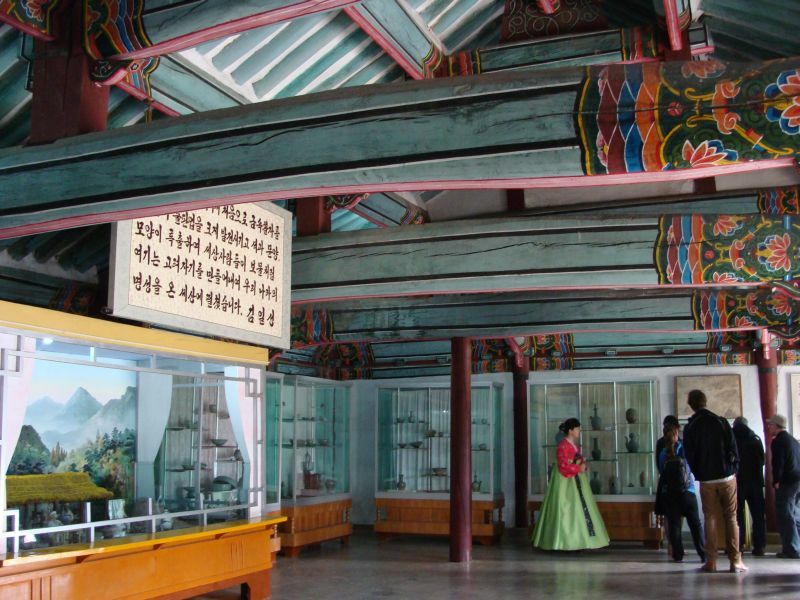 Last attraction we visited was the Kaesong History Museum. 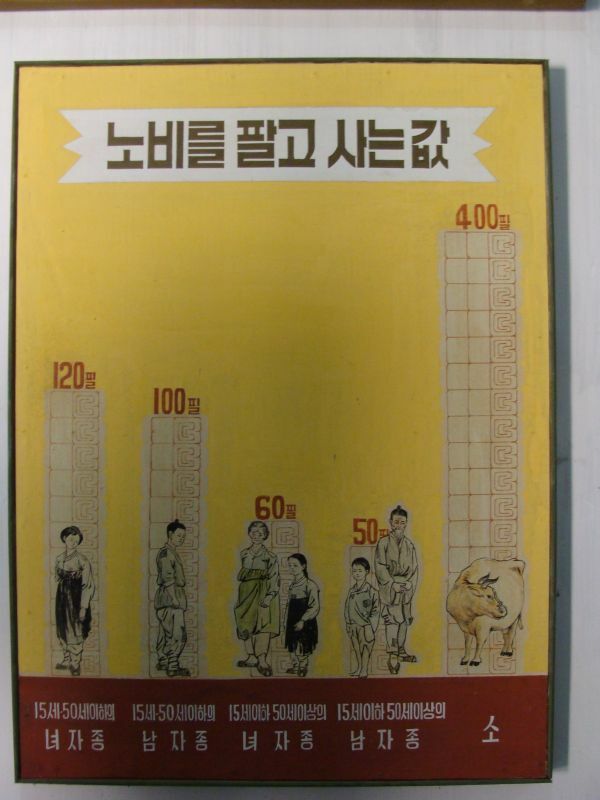 As you can see in this diagram, during the feudal times the cheapest humans were men under 15 or over 50 while the most valuable were women aged 15 to 50. 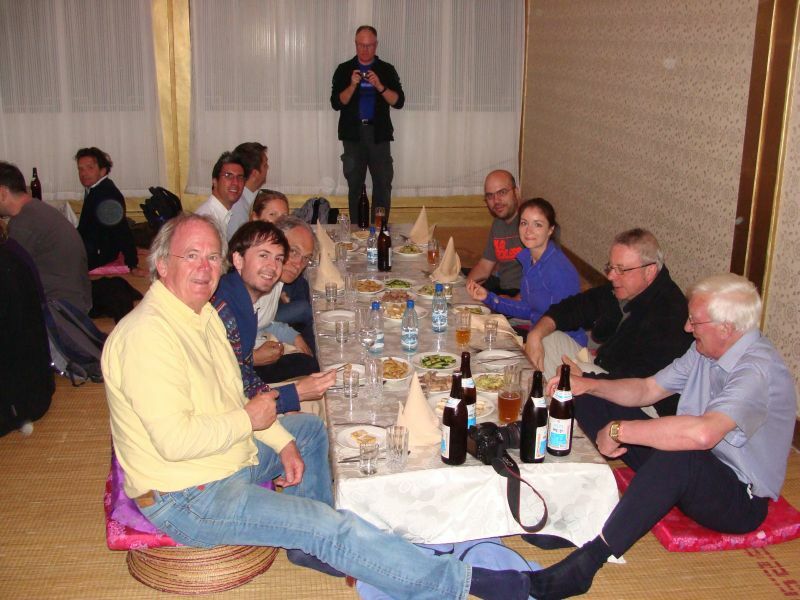 However, an ox was more than 3 times more expensive! 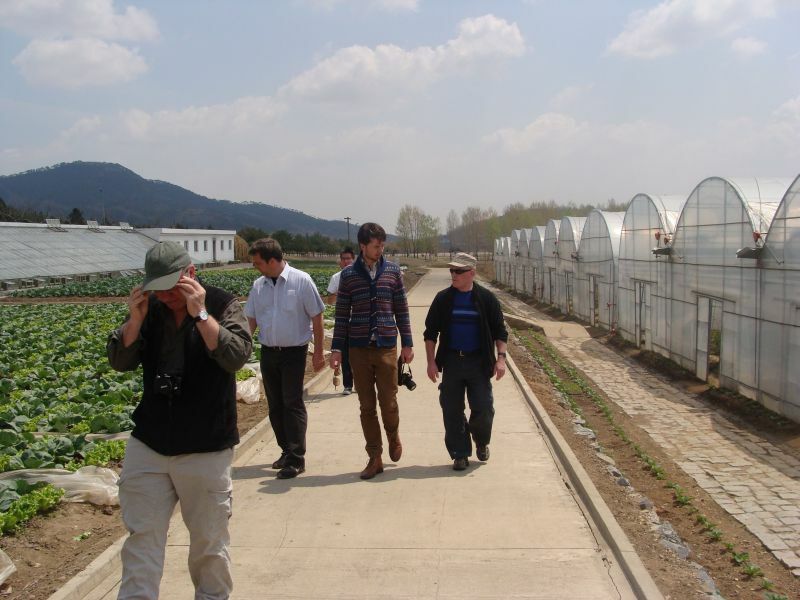 We visited two farms in DPRK: Taesongsan combined fruit farm and Chongsan-ri vegetable co-operative farm. 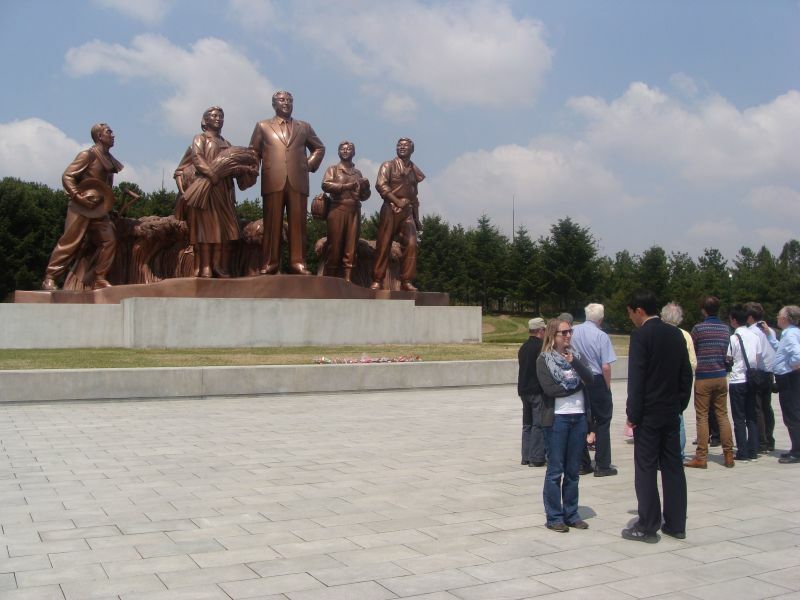 Each time, the guides emphasized the active role Kim Il-sung had in establishing and leading the farms. 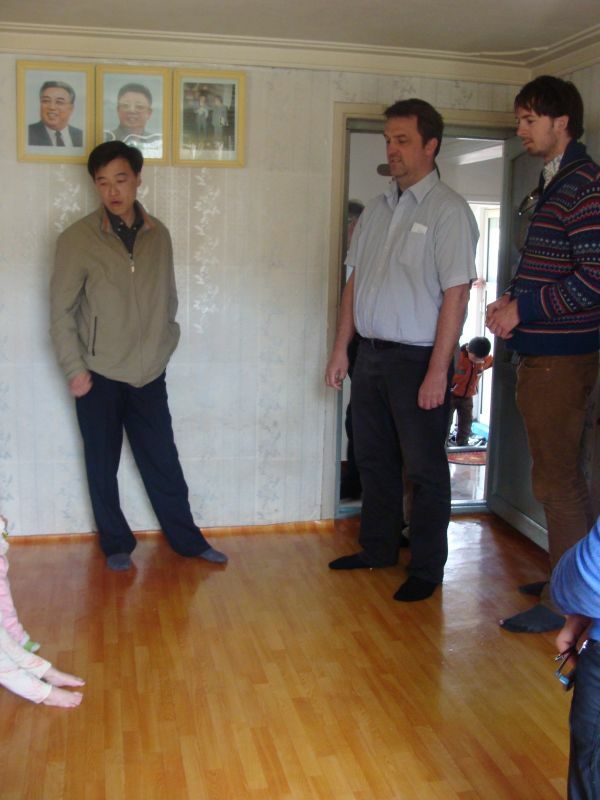 We also had the chance to visit the village attached to the vegetable farm, including a leading villager’s house. 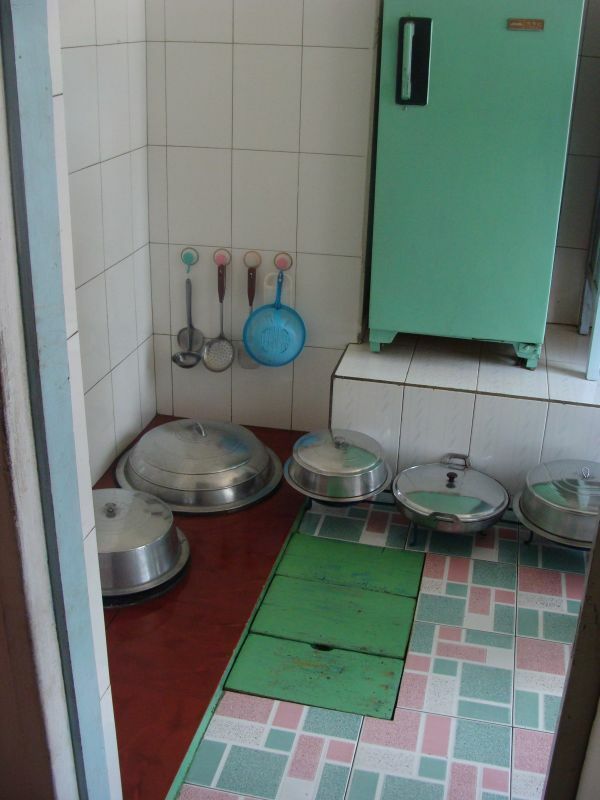 Third picture shows the traditional kitchen, with the cooking place at ground level. 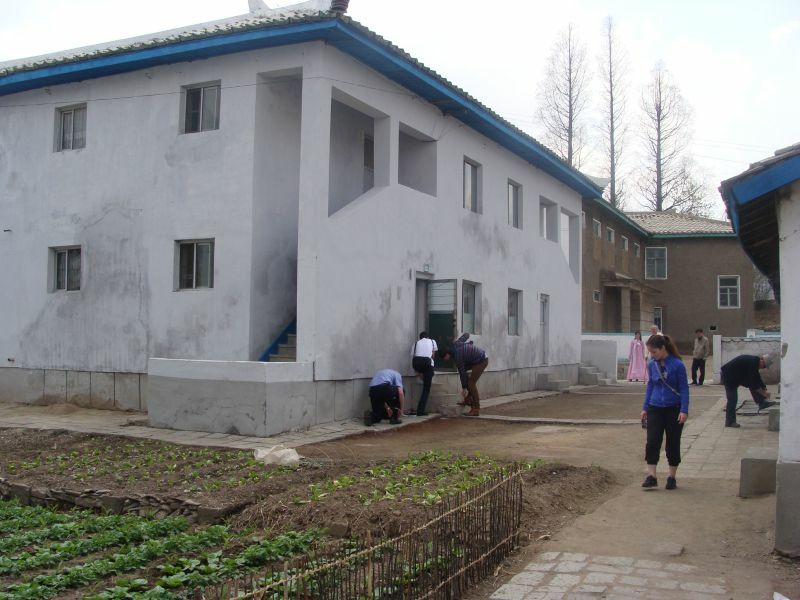 Again, every available patch of land was used for growing. 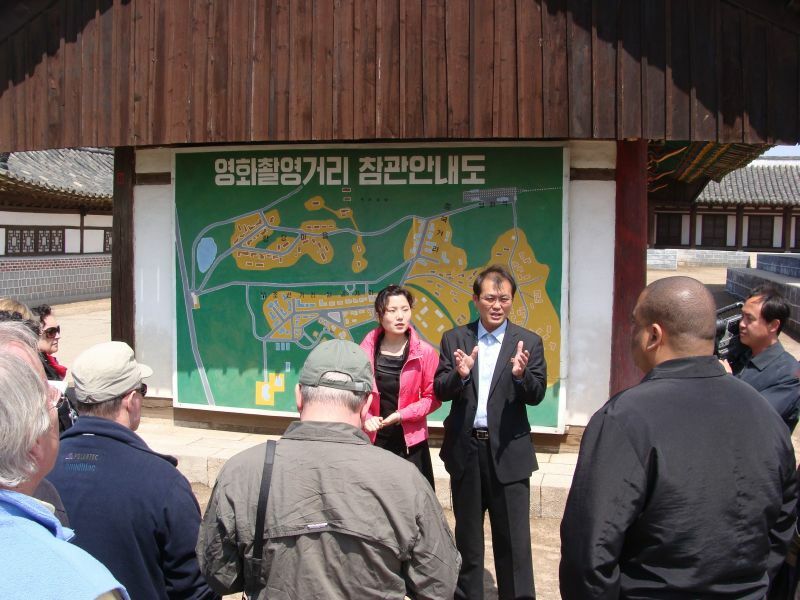 They explained that, DPRK being a mountaneous country, agricultural land is scarce. 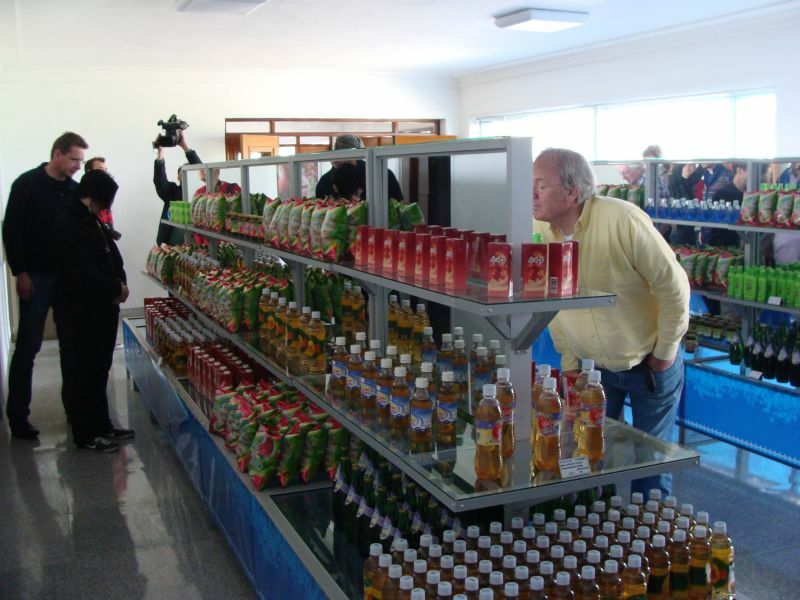 This is the store selling the products derived from the apples grown locally. 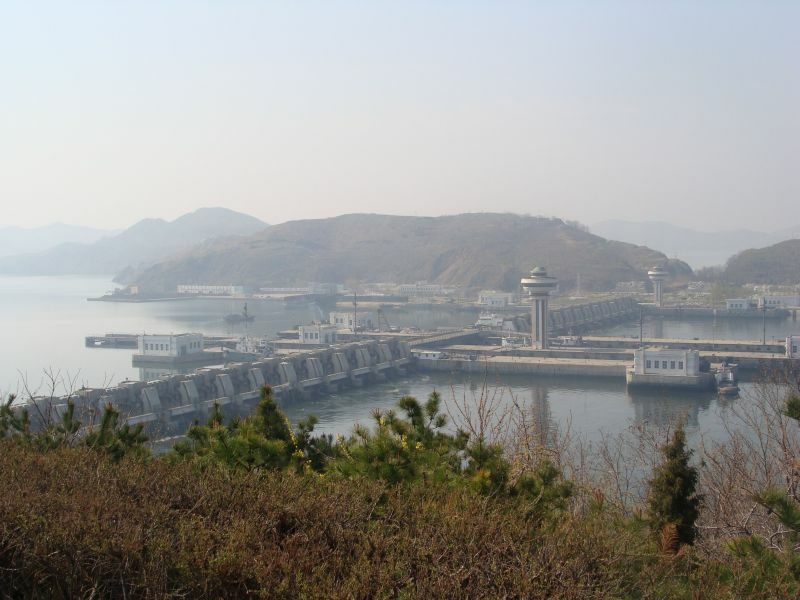 They produly presented us the Nampo West Sea Barage, used to regulate inland salt water flow. 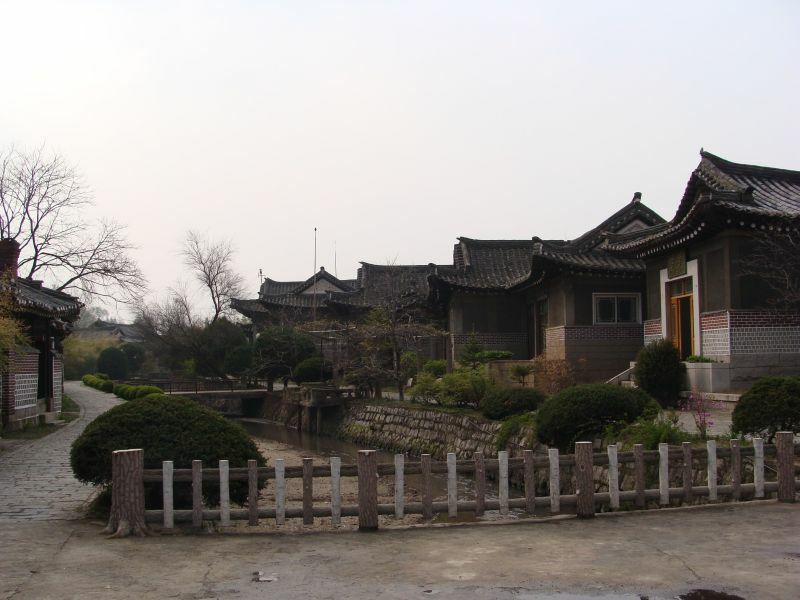 The industry was represented by Kangso mineral water factory. 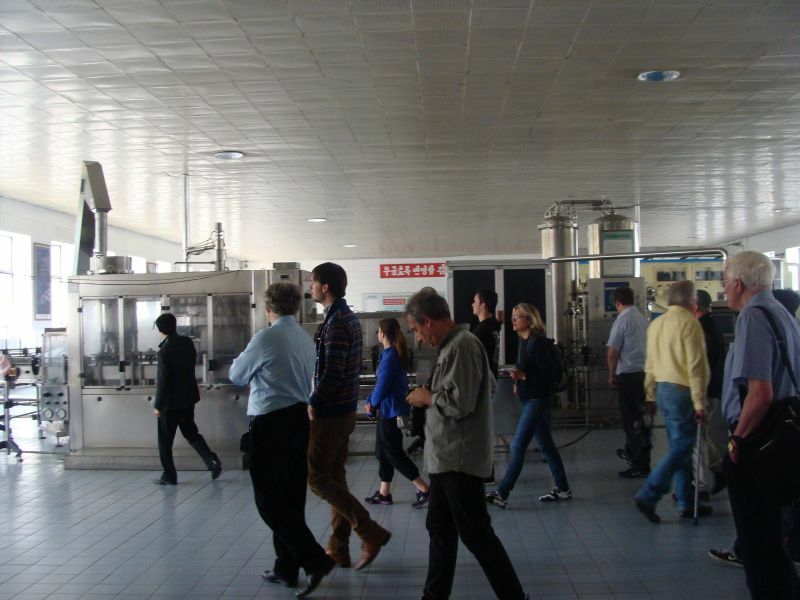 The production line was made in Italy. 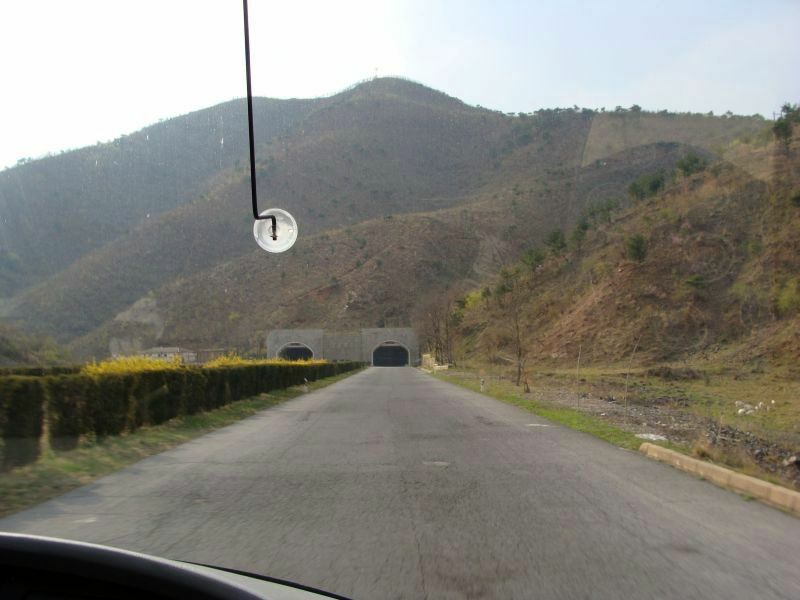 There were two trips outside of the capital. 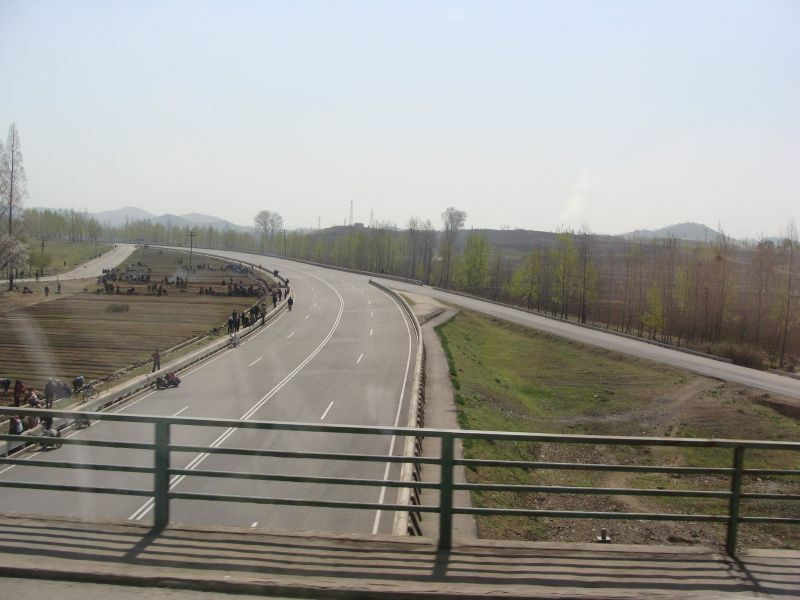 One was towards Nampo (West) and the other one towards Kaesong (South). 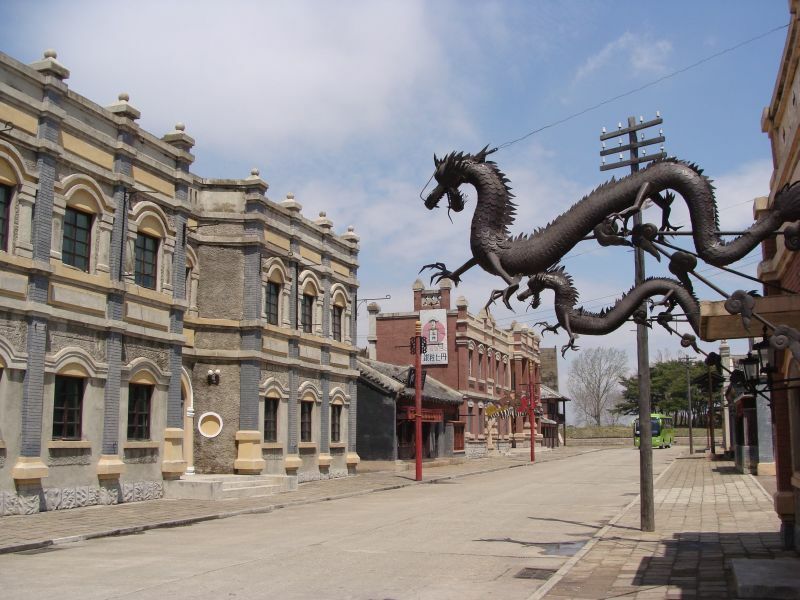 Other tours have different trips available, such as Eastern litoral and the North Eastern mountains. 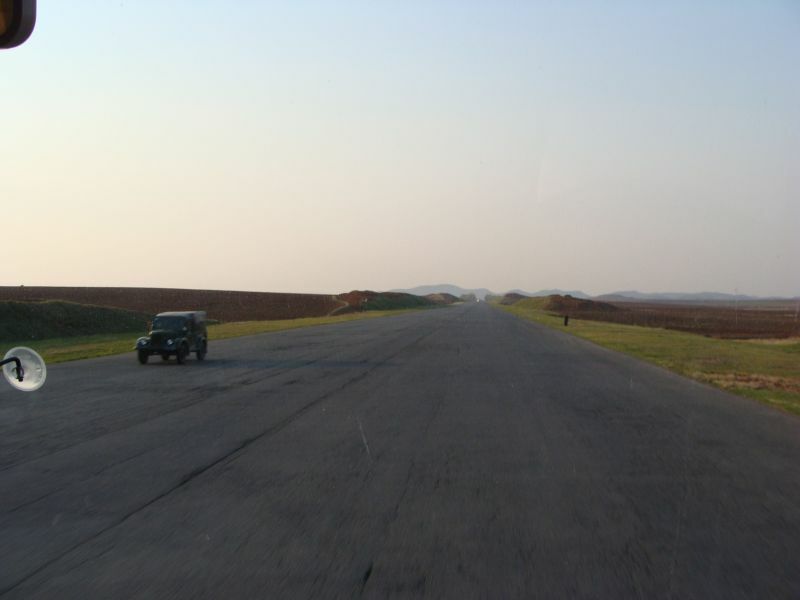 The roads were pretty much empty and bumpy but very clean and neat. 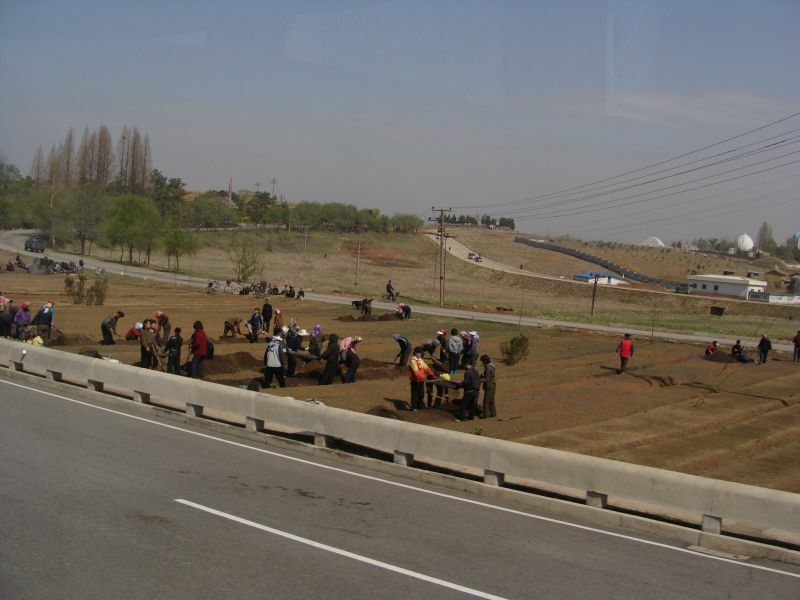 On the side of the road, every single patch of usable land was being used for agriculture. 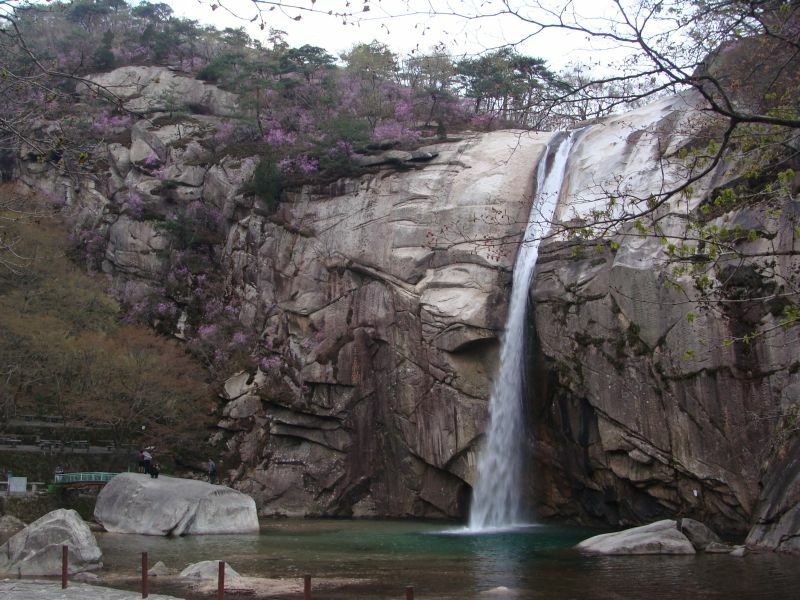 Last picture shows the Pakyon waterfall, newly introduced in the foreign tourists’ schedules. 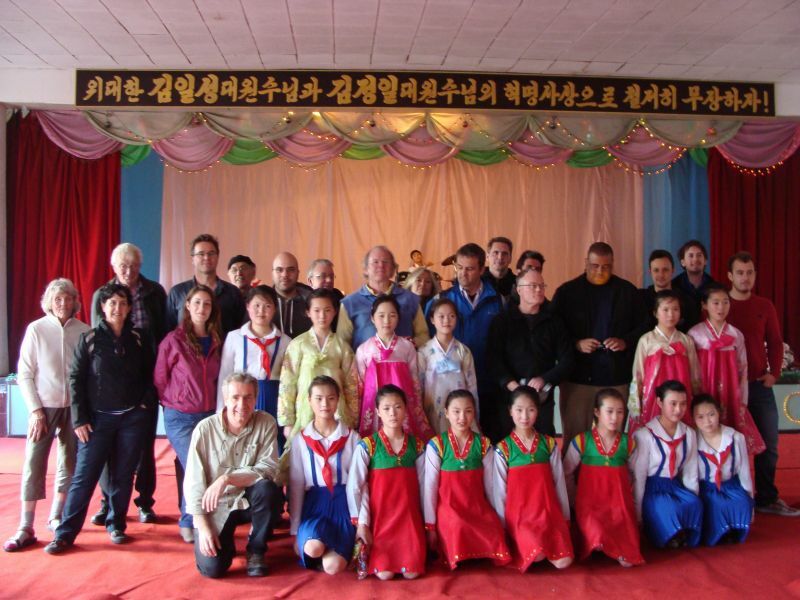 The guides emphasized how the revolution improved the education in DPRK, increasing literacy rate by providing free compulsory school. 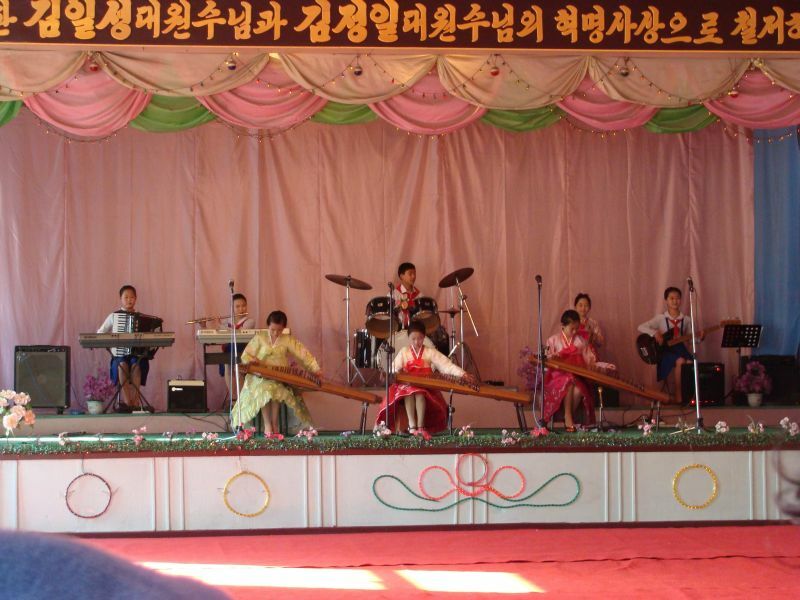 We visited a middle school where, in the end, we attended a short musical performance. 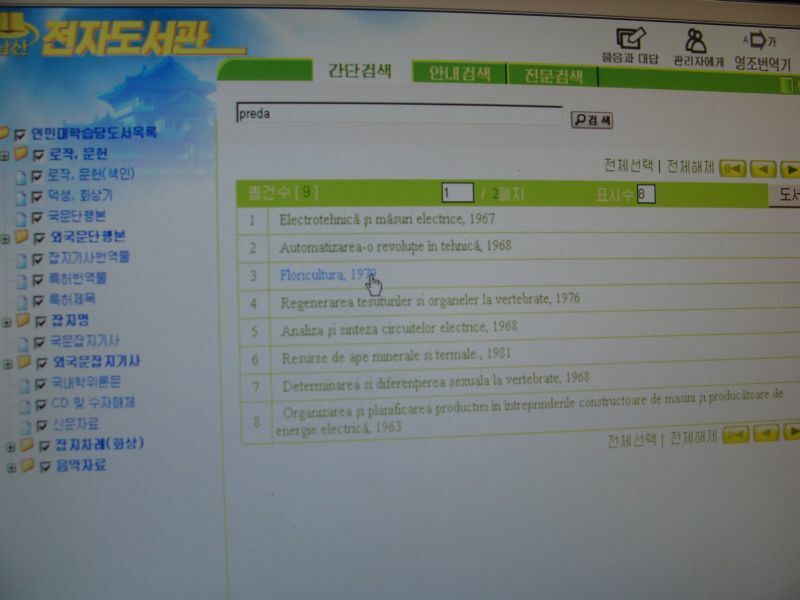 Then we moved to the Pyongyang public library. 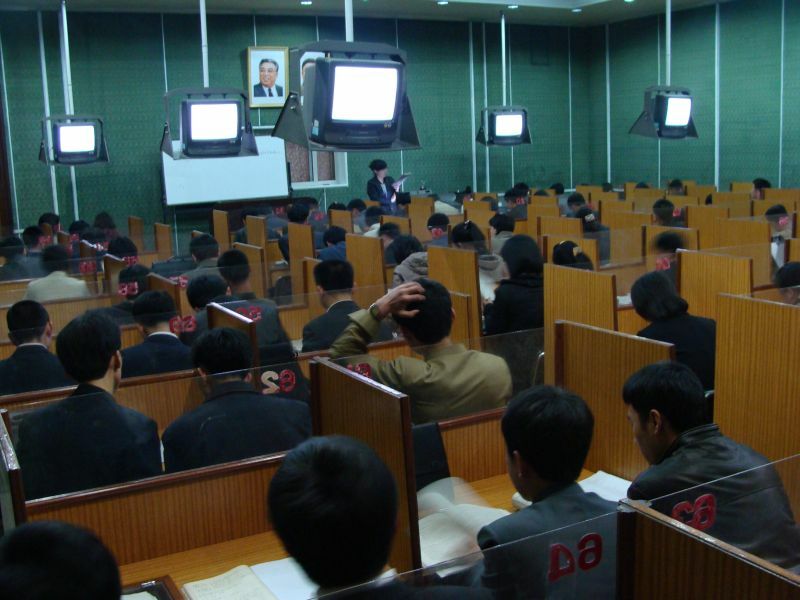 We visited some reading and lecturing rooms. 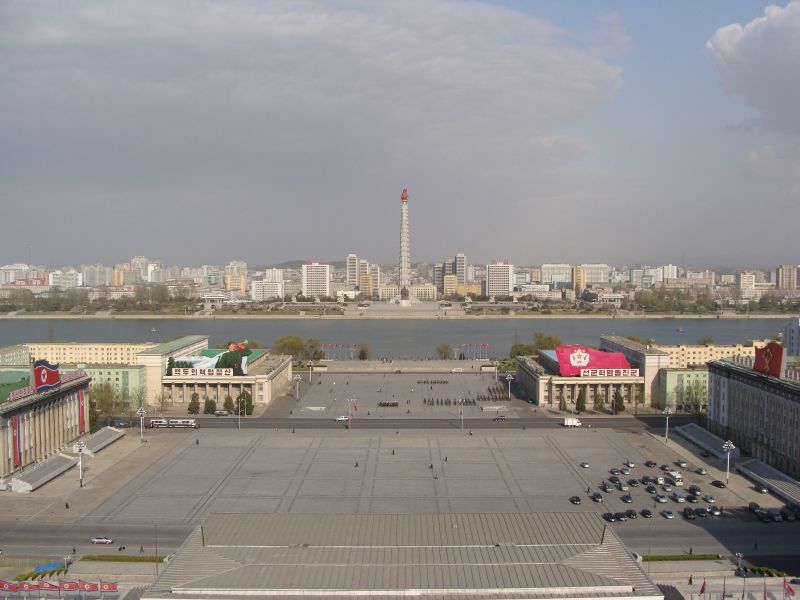 Nice views from the balcony. 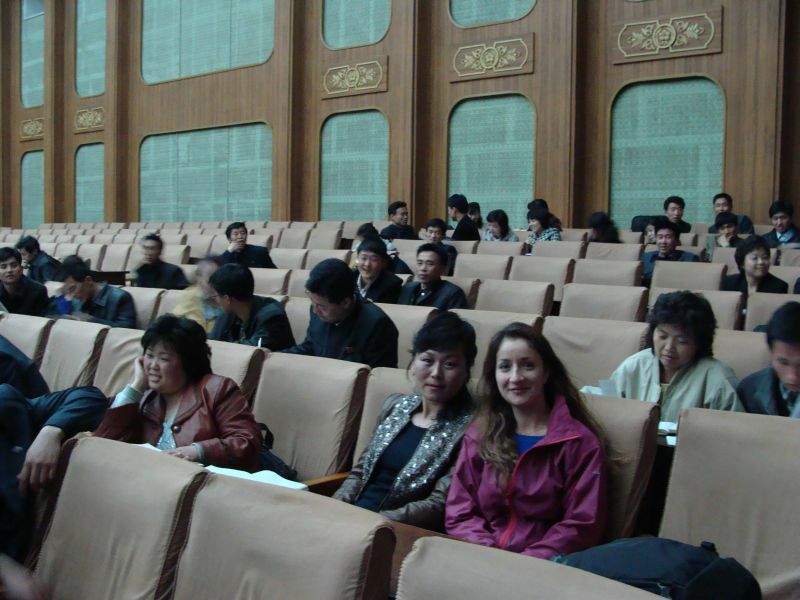 In the book lending section I was able to find numerous foreign science books, including some from Romania. 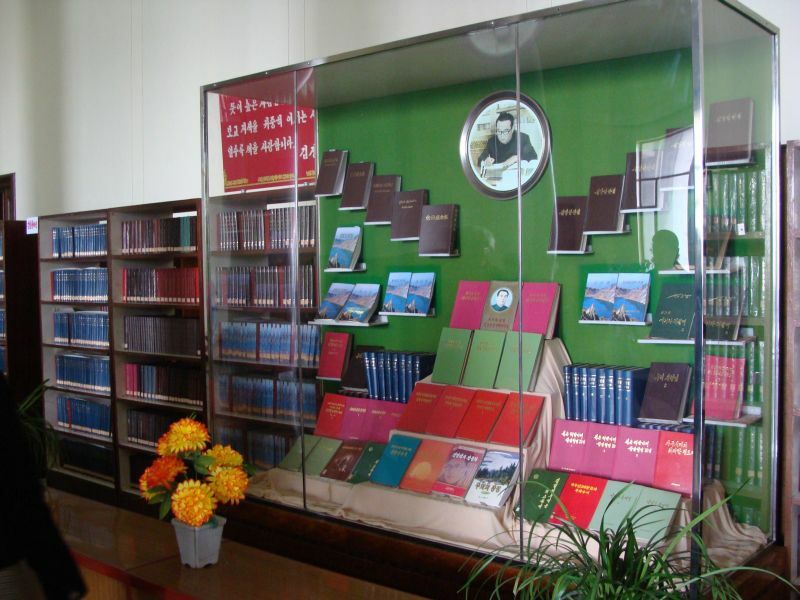 Last picture is a display of books written by Kim Il-sung. 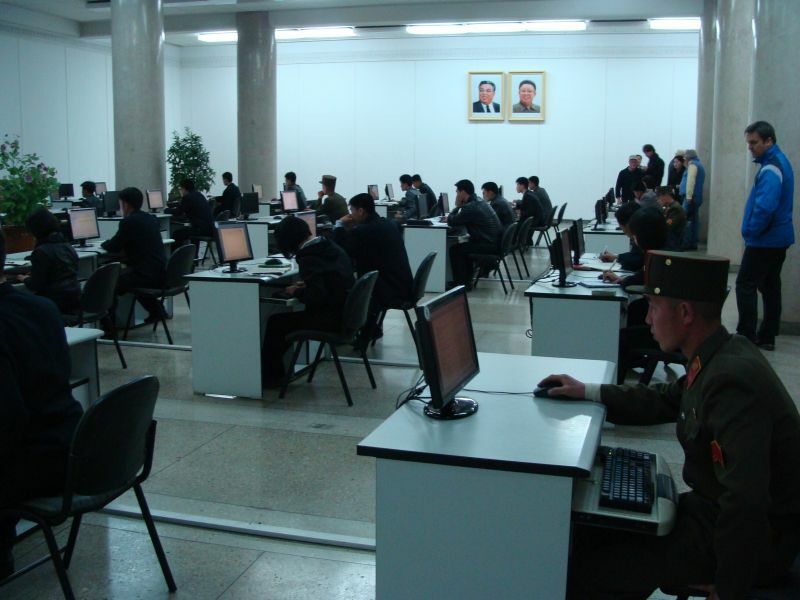 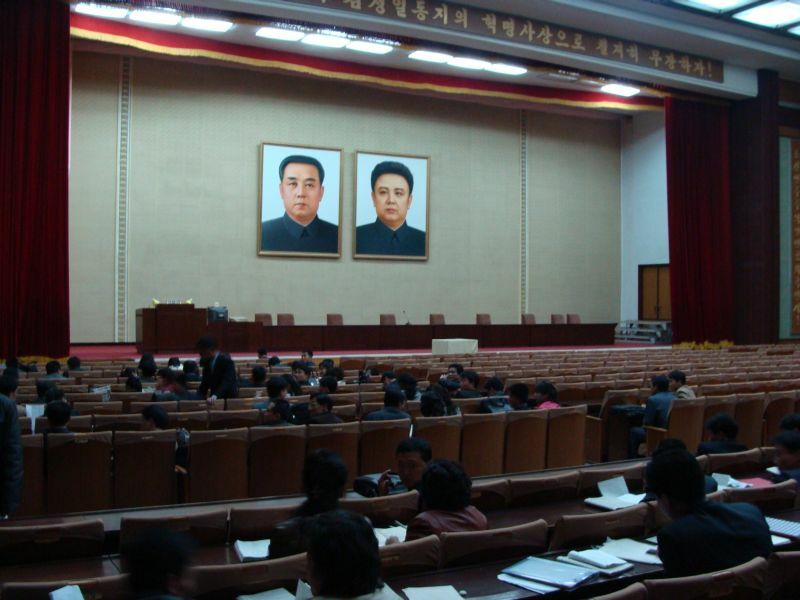 This is the Pyongyang movie studio. 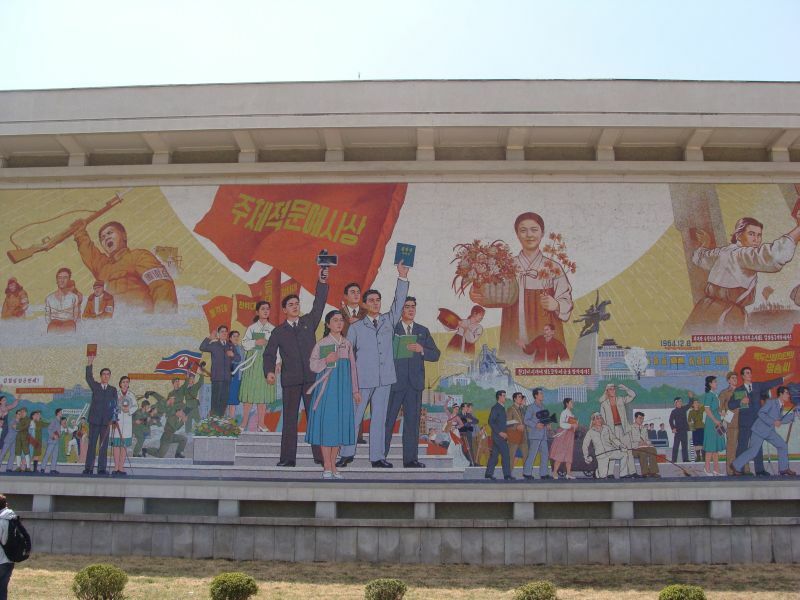 Opened just after the founding of the country in 1949 to create patriotic features. 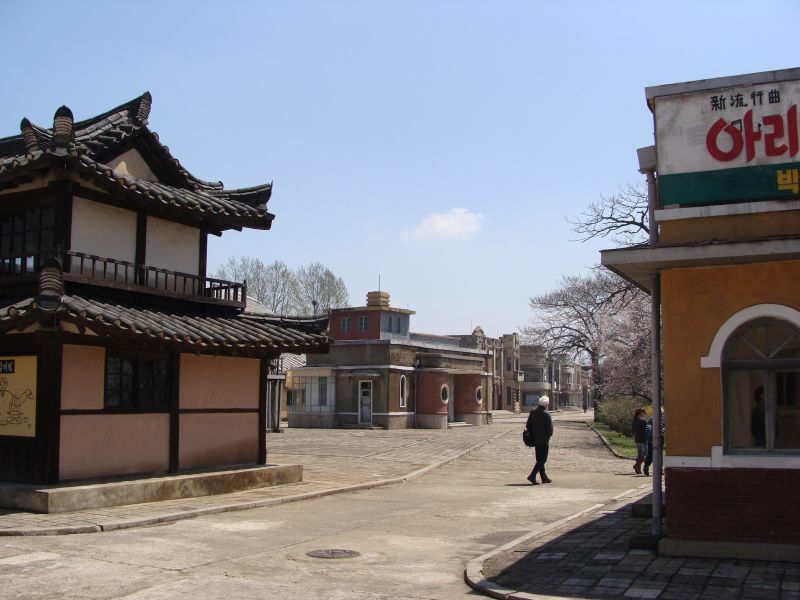 Today there are several outdoor sets, resembling Korean, Chinese and Japanese towns.